As a senior with strengths in photography, Toni offers immense skill and talent to the yearbook class at La Joya Community High School. Knowledgeable when it comes to video edits and proficient in Photoshop, Toni skillfully applies this to his work and continues to develop and progress more during his leisure time. Along with photography, Toni enjoys watching sports, predominantly football and basketball. 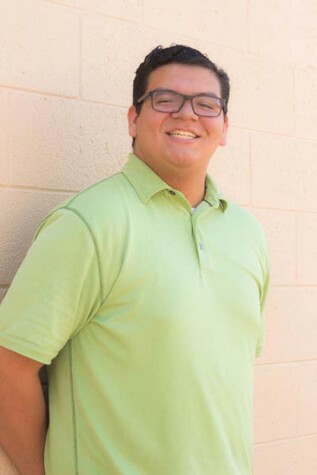 As far as achievements, Toni is one of the tallest La Joya has to offer and stands tall next to his goal in attending community college where he plans to later pursue a career of becoming a SWAT agent.